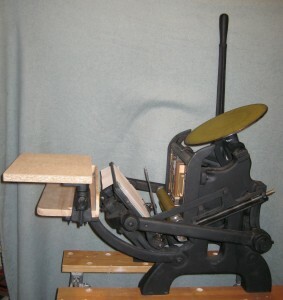 I am the proud new owner of a Chandler and Price Pilot printing press. I could not be more pleased with the way everything went. On Saturday morning we headed to the sellers house to pick up the press. I didn’t know anything about the man except that he seemed nice from the emails. He and his wife were awesome. They had bought the press years ago and had printed greeting cards for years. They kept the press in great shape and even kept the broken spring that they had to replace. The man who owned it also kept and gave to me all of the research he had done on the press and printing, including his copy of The Practice of Printing, a printing textbook originally copyright 1964 (original copyright 1926). 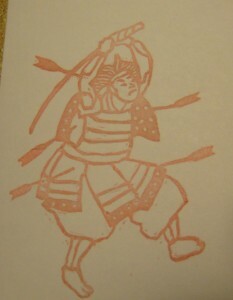 It has lots of very nice photographs and drawings. 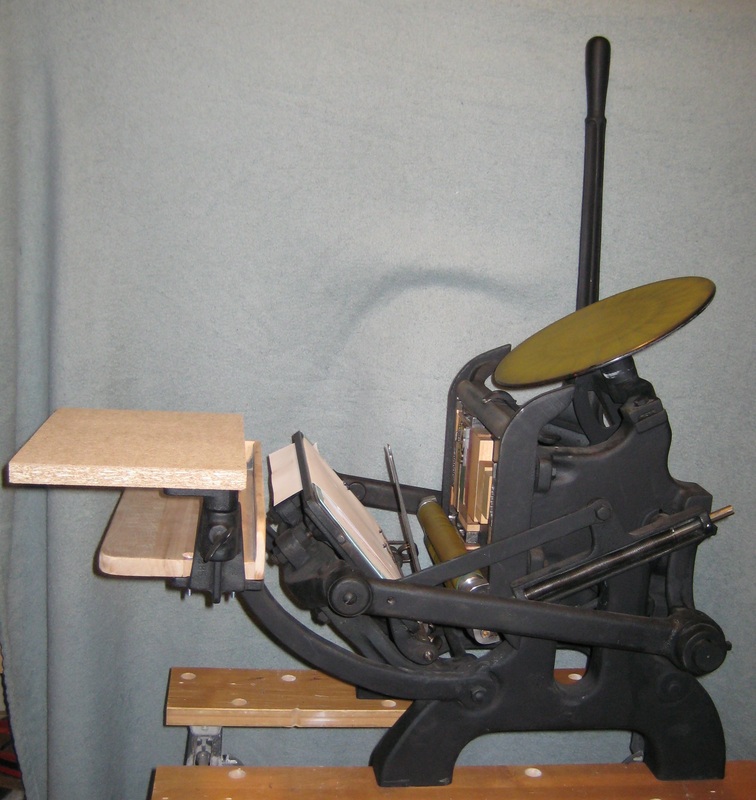 The press also came with 2 chases (the frames you put the type in), 8 quoins (wedges used to hold the type in place), a bag of wooden furniture (spaces to help hold the type in place), a box of decorative blocks and type, and a box of ink. The press also had recently redone rollers which are in excellent shape. I am so incredible excited! Apparently, as soon as I did the “Buy it Now” option, a bunch of people emailed him offering more money if he broke his contract with me. After mentioning to them that I do woodcarving and linoleum carving his wife brought out a box and said they were having a yard sale soon and she had some linoleum cutting stuff that she was gonna get rid of and if I wanted it I could have it. It had a bunch of the wonderful Flexcut woodcarving tools that I love as well as some of the micro tools that I use and other supplies. Once we got the press home and on the table it belongs on, it took well under an hour to get it all setup and a bunch of prints made. 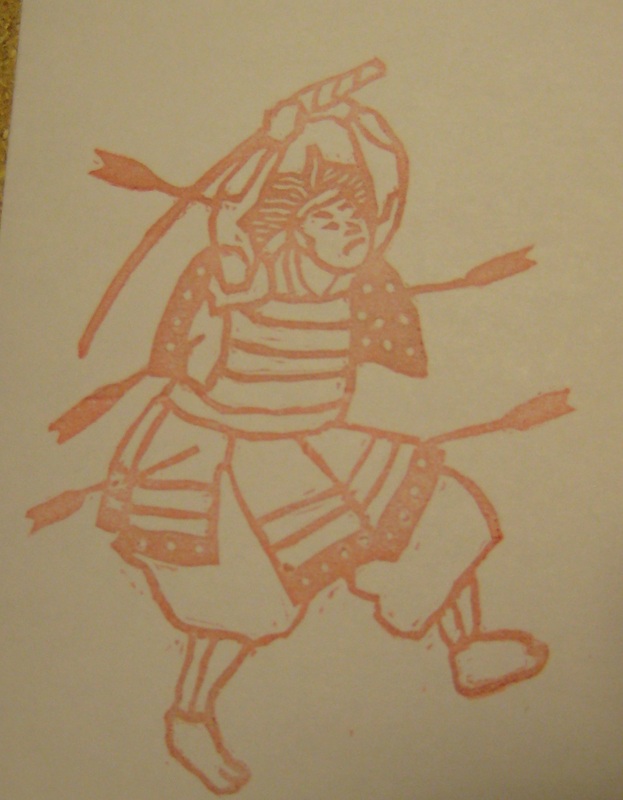 I set up a linoleum block I had carved to test out how the press works. It was so great to see how easy it was to set everything up and how nice and even all of the prints came out. I expected it to be much harder. I can’t wait to get some type and to do some more printing.